Dr. Silver is Professor and Vice Chair of Neurology at UMass Memorial Medical Center and University of Massachusetts Medical School. 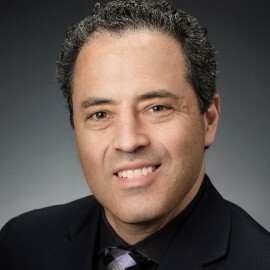 He previously served as the Director of the Comprehensive Stroke Center at Rhode Island Hospital and is the Director of the Stroke Center at UMass Memorial Medical Center. His fellowship training was in vascular neurology and he participated in numerous clinical trials related to stroke prevention, acute treatment, and recovery. He previously served as an Assistant Editor for the journal Stroke and serves as an ad hoc reviewer for multiple journals in neurology and stroke. While at Henry Ford Hospital in Detroit and Rhode Island Hospital in Providence, he served as the stroke fellowship director and trained 7 fellows, who have gone on to become successful stroke neurologists. He has volunteered for the American Heart/Stroke Association for nearly 20 years and served as a spokesperson on their national bureau.